Our corporate culture centers on providing the best service possible, hiring the most qualified employees and always being accessible and accountable to the healthcare facilities we serve. By tailoring our operations to each healthcare facility's specific needs, HPM provides unparalleled service and performance. The company has grown from a simple three-man operation to a national industry leader because the founding goal has remained the same - create and support the best customer experience possible. 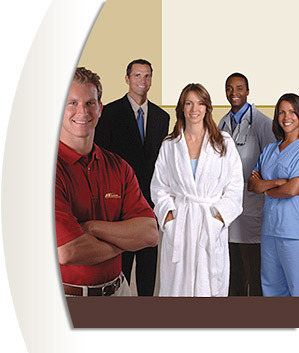 “Our objective at each healthcare facility we operate is to provide the best employees who will provide the best service. We have kept this philosophy since our inception in 1988 and have grown due to our continued focus on our core competencies”. “Realizing that each healthcare facility is unique, Hospital Parking Management tailors our team and parking operations to meet the objective of the facility we serve. Performance, Service and Accountability, our core competencies, are what is focused on each day by each of our employees”.